• Been featured in Fashion Magazine, Avenue Edmonton, Georgie Magazine and Alberta Venture to name a few. • Done illustration and styling for local publications. “Being an instructor has challenged my design beliefs and refined my skills and abilities as a designer. I learn as much from my students as they do from me” (via Fashion Magazine). As an Instructor, she has mentored Designers as such: Nicole Campre, Sid Neigum and Jessilyn Poole (Eve and Enoch) to name a few. 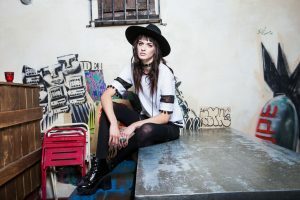 She became interested in fashion in High School. “In sewing class, I was with a bunch of misfits…girls that were kind of the rebel type. One of them was going to hair school at MC College and pushed me to sign up for the fashion program” she says. “Fashion for me was a complete accident…I had initially wanted to be a physiotherapist” Alisha continues (Via InTouch News). So RAD @kylabamboo thanks for the video @ourparkonline once again you killed it !!! Such a great show tonite mad love to everyone who came out !!! 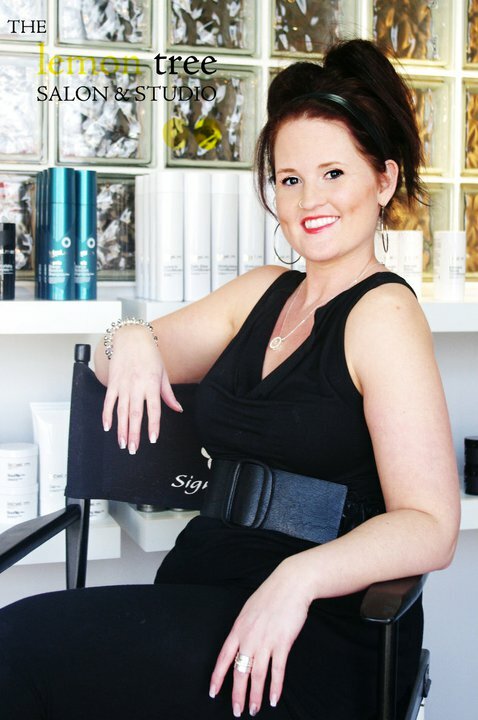 Alisha’s career in Fashion started when she completed her internship in Toronto. “I interned with Marcus Fraser, a local business owner whose brand came out of Toronto…he was a real person to talk to because he was from Edmonton and his company started very grass roots” says Alisha. 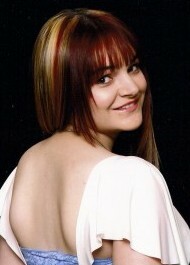 In 2007, she launched Suka Clothing. The garments are designed by Alisha and made in Edmonton, and can be purchased online (sukaclothing.co) or in-stores (Bamboo Ballroom). What has been the biggest eye opener since graduating? Repost @cfchinookcentre it's been an amazing weekend @ourparkonline #badlandbabes thanks to all my friends fans and park for your amazing support !!! Nice meeting and chatting with everyone! What advice would you give to MC College students and to aspiring fashion designers? 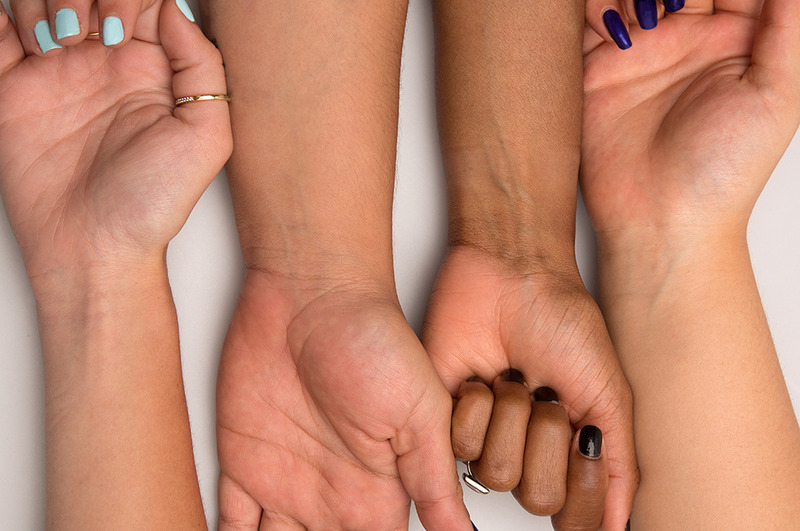 Getting your taxes done is easy as mixing color! a). Whether you’re a salon/spa owner, part time worker or paid via salary or commission, you’re considered an employee on a payroll. You can deduct the cost of supplies you purchased for work. Hairspray, shampoo, waxing strips, cotton balls…the list goes on. For more info, visit: www.cra.gc.ca/employmentexpenses. For this expense, you’ll need your employer to authorize that the tools were purchased by you and used for your work. For more info, visit: www.cra.gc.ca/trades. As a Hairstylist or Esthetician, the majority of your income comes from tips and gratuities. Talk to your employer if any or all of the tips you earn will be included on your T4 slip. If it doesn’t, it’s your responsibility to keep track of it and report them on line 104 of your income tax and benefit return. Whether you’re renting a chair, working from home or own a salon/spa, you can deduct any applicable business expenses. This includes: chair rental fees or supplies such as hair colour, shears, microdermabrasion tips, nail polish and much more! 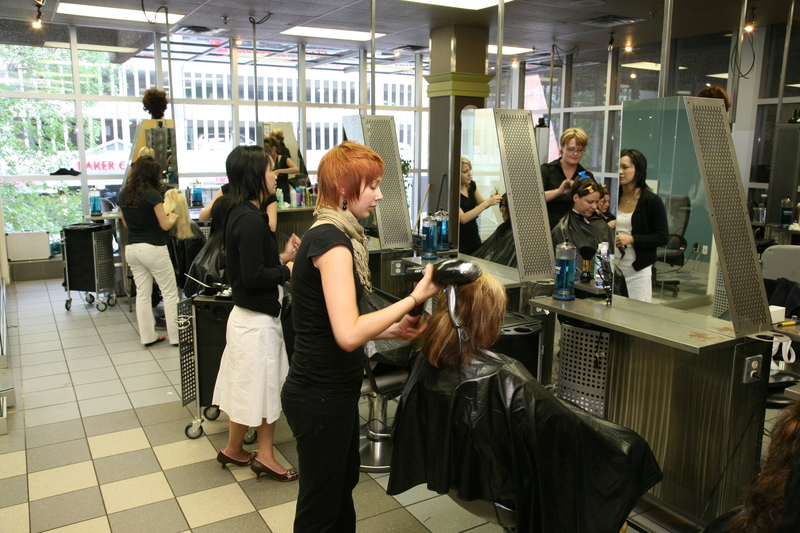 Are you a salon owner who recently hired a Red Seal apprentice Hairstylist? If so, you can claim the apprenticeship job creation tax credit. This tax credit is equal to the lesser of $2,000 or 10% of the eligible apprentices’ salaries or wages. You can carry the whole credit amount three years back or carry it forward for up to 20 years! Where do you file your taxes? You can file your taxes with various income tax software, such as: Netfile or Turbo Tax. Don’t want to do it yourself because ‘ain’t no body got time for that’?! Visit your local H&R block and they’ll help you out! Owning a salon or spa is more than just cutting hair, doing chemical peels, marketing or hiring employees. As a salon or spa owner, you have to ensure that employee contributions, premiums and tax amounts are properly deducted and sent to the Canada Revenue Agency. 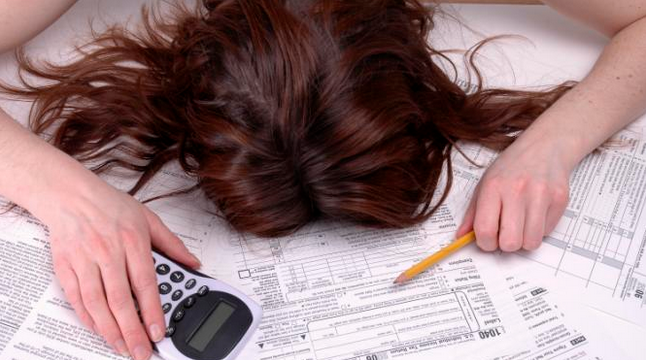 The deadline to file your personal income tax and benefit return is April 30, 2015. If you, your spouse, or common-law partner is self-employed, the deadline to file is June 15, 2015. BUT, if you’re self-employed and have a balance owing for 2014, you still have to pay it on or before April 30, 2015. 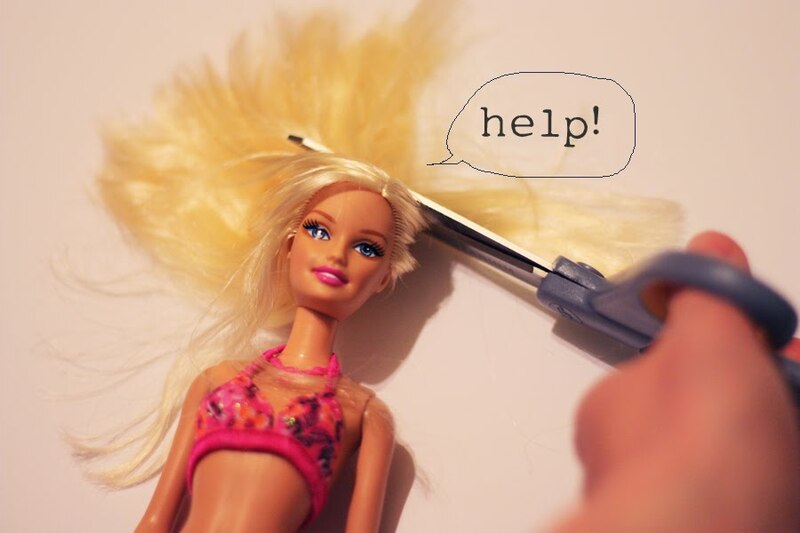 Do you remember cutting off your Barbie or Ken dolls’ hair and wishing for it to grow back? Or trying to curl their hair but end up melting it? For many future hairstylists, Barbie and Ken are usually their first clients/mannequin head. 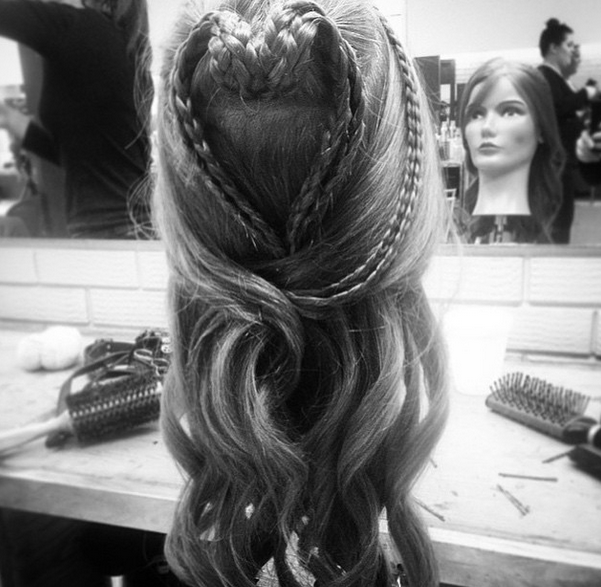 From finger waves to balayage, Hairstyling students use mannequin heads to practice their craft. But unlike practicing on an acrylic/plastic haired friend (we’re talking about Barbie!! ), students at MC College learn the Art of Hairstyling on Pivot Point mannequins that are made with 100% real human hair. Working on real human hair allows students to experience realistic results. These mannequin heads are considered as the Ferraris’ in the Hairstyling Industry. But…where does the hair come from? 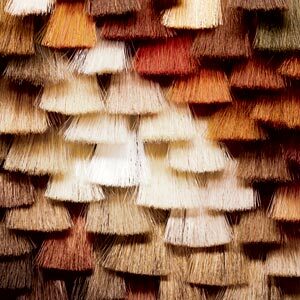 Pivot Point collects hair from China and India. In many parts of the world, people sell their hair for income. 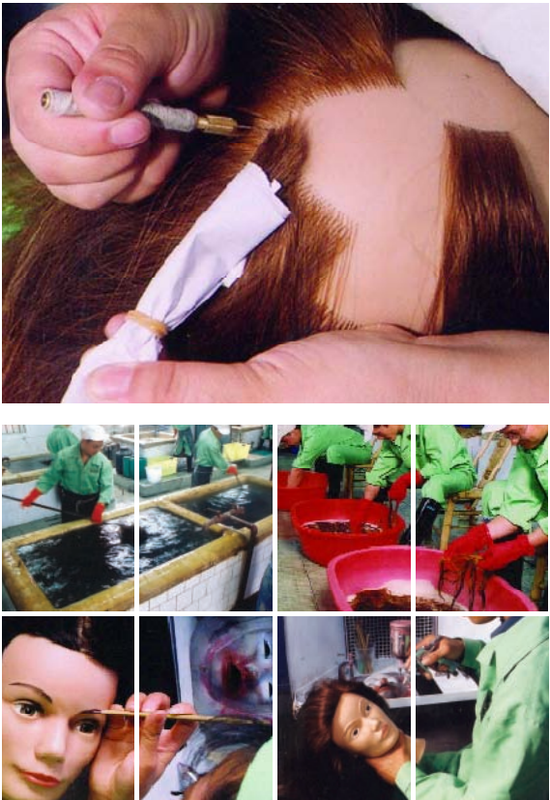 Once collected, the hair is grouped based on length and then disinfected several times. 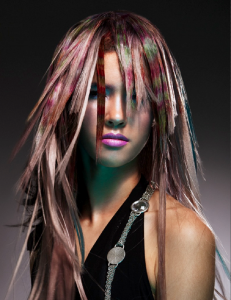 From there, it undergoes chemical treatments to achieve different colors and hair textures. Throughout the whole process, the hairs’ moisture and elasticity levels are monitored to ensure it’s still consistent with human hair. To make hair education as realistic as possible, Pivot Point mannequin heads’ features are hand painted to make it look anatomically correct. The hair is professionally implanted (by hand) and evenly distributed to mimic natural human hair growth. From implanting hair to painting it’s on fleek eye brows, the head itself is created and assembled by artists in China. To ensure that these artists are treated equally and are given ethical working conditions, all Pivot Point mannequin heads are SA8000 certified. 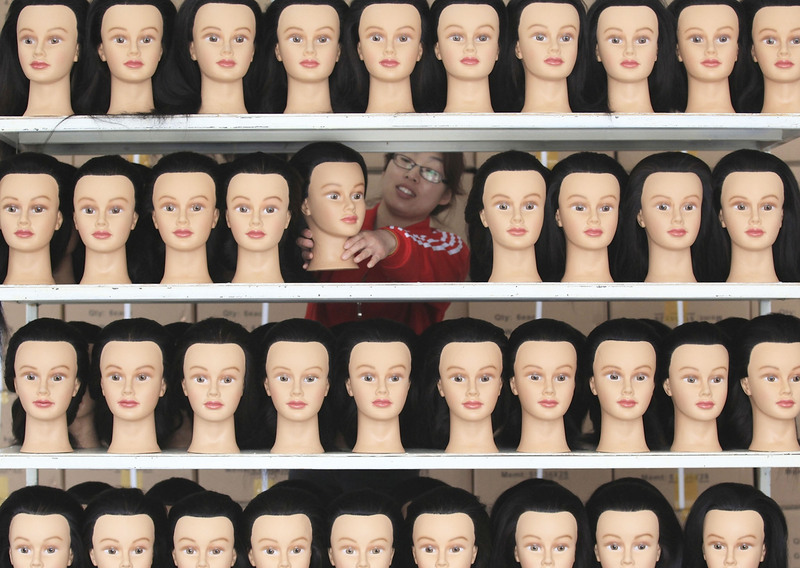 This means that educational goods such as mannequin heads are created in a working environment that’s free of forced and child labor, poor working conditions and wages, and unfair work hours. The certification also ensures that “the quality of goods match the well-being of the artisans who create them”. Paris of the Prairies. City of the Bridges. These are just a few names to describe Saskatoon; home to over 200,000 people. As an Edmontonian and my first trip outside of Alberta (shocking, right? 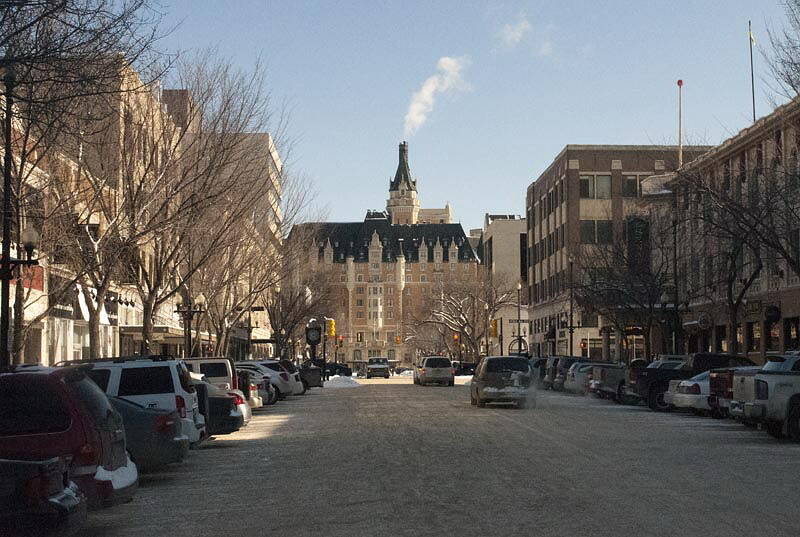 ), Saskatoon felt like a home away from home: a big city with a small town feel. 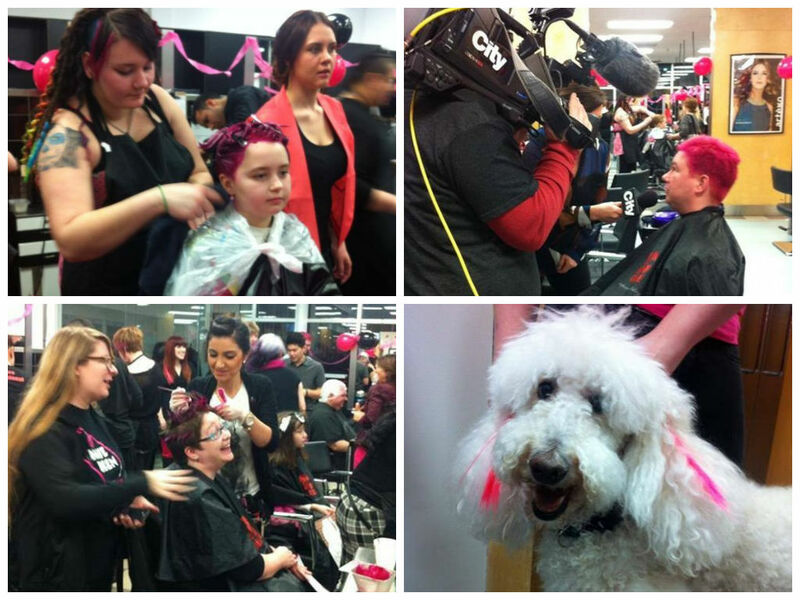 As I arrived for my first visit to the Saskatoon MC College Campus, I was met with the sounds of excitement as students worked on clients and prepared for graduation. During the campus tour, I was able to see the hands-on training the students were receiving, as well as visit the beautiful spa area. Speaking to the graduating students, it was inspiring to hear their reasons for pursuing a career in the industry. It was also great to hear that a majority of the students had a job lined up for them after graduation. 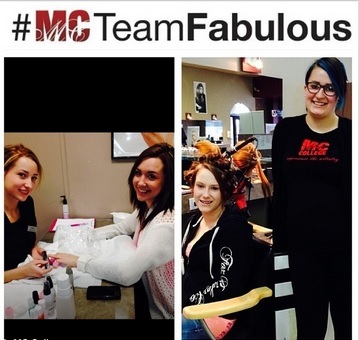 Many of those jobs were acquired through hair demonstrations held at MC College and establishing technical experience through volunteering at events such as: Sears Beauty Gala, Woman’s world, Miss Teen Saskatchewan and Fantasy Fashion Show. As a guest at their graduation, it was amazing to see the overwhelming amount of support at graduation. I had the pleasure of meeting an inspirational and industry-passionate individual: Laddie James, Owner and Hairstylist at Hairstyle Inn. Not only is he a huge supporter of MC College students, he also awards the top student with a scholarship award, the MC2 award. 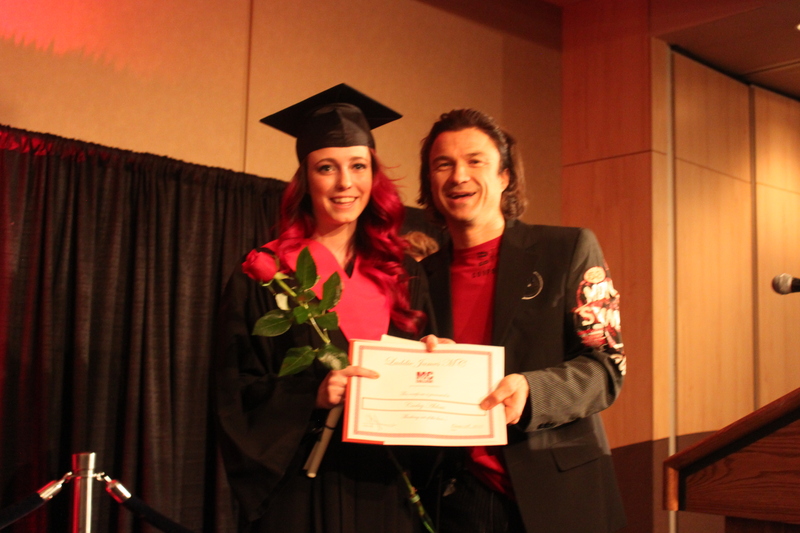 At this years Fall 2013 graduation, Hairstyling student, Carley Aldous, was awarded with the MC2 award and a $500 scholarship. At every graduation, the Frank Cairo Award is given to the student who best represents the qualities of: Commitment, Integrity and Respect. These qualities were the basis of Frank Cairo’s success in the industry. This year, Hermien Brits from the Hairstyling program and Bailey Dash from the Esthetics program received this prestigious award. 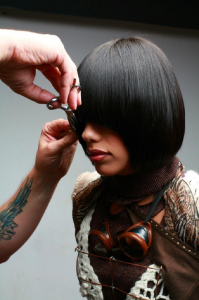 Jeff Louis is a graduate from MC College’s Hairstyling program. 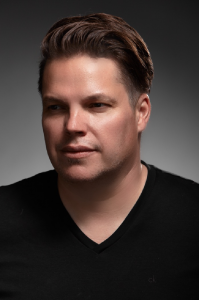 Today, he is the Creative Director of Artego Canada, Global Creative Team Member of Artego International and the Global Director at Jeff Louis FLOW. 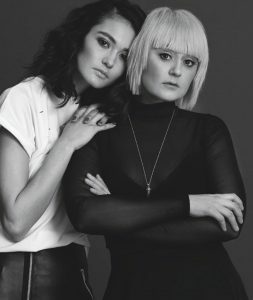 “I share technical information, techniques and concepts to hairdressers all over the world to build a stronger foundation in a positive creative”. 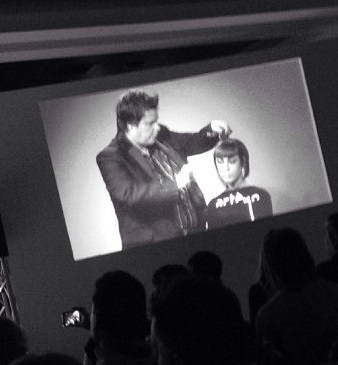 What’s your first memory of wanting to be involved in Hairstyling? 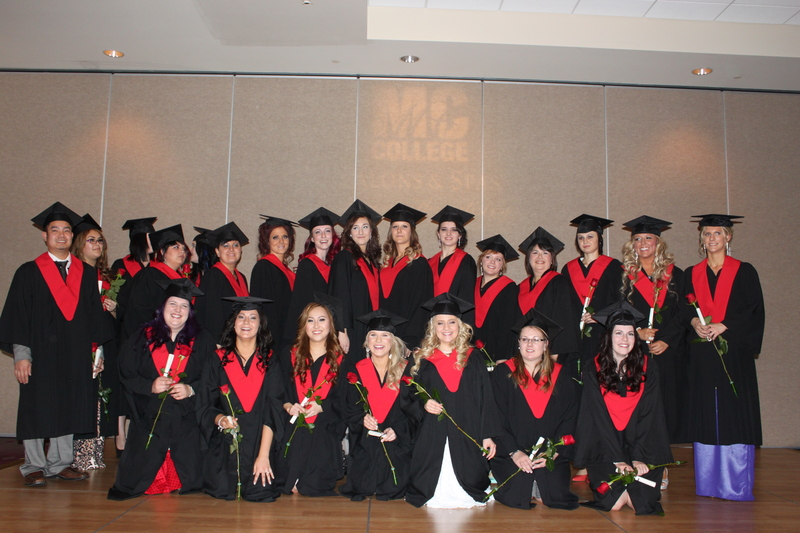 What made you choose MC college? What’s been the biggest eye-opener for you since graduating from MC College? What advice would you give to current MC College students? “Learn and absorb as much as you can in your program. Don’t be shy ask questions because hairdressers love to share and most important don’t forget to smile and have fun and stay humble along the way…some advice that I got from a mentor when I was just beginning my career when I was worried about how was I gonna find new clients. He said: ‘worry about getting good and you will never have to look for clients , they will find you...’”.